Discover thousands of amazing Berry Recipes for your fresh and frozen berries. 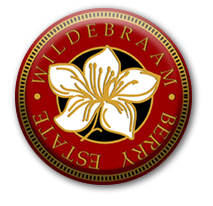 Wildebraam Berry Estate supplies fresh berries to our clients during season whilst frozen berries are available at our Swellendam Berry Farm throughout the year. We also manufacture and distribute a variety of home made berry products including liqueurs, jams, chutney and relishes available on our online catalogue. A simple easy to make Strawberry pie and still impress your family and friends.